On April 21, 2012, Freedom Party of Ontario held its “Red Alert” dinner on the top floor of the Primrose Hotel in Toronto. The video of the event is being released in parts. 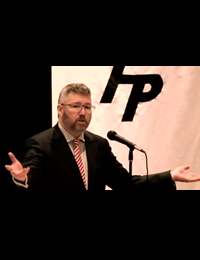 This fourth part features a speech by Freedom Party leader Paul McKeever. His message is suitable for all audiences, regardless of the country in which you reside. It’s about what makes the reds red, and about the importance of fighting for freedom (as opposed to just being in favour of it).